Everything Just So: The Gold Standard: Yellow, Pink or White? The Gold Standard: Yellow, Pink or White? 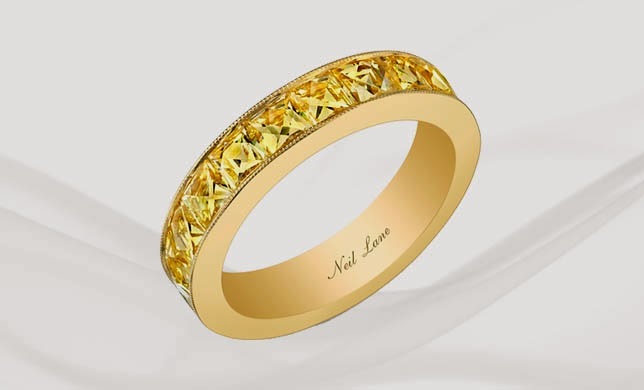 A fancy yellow diamond ring by Neil Lane in yellow gold. With jewelry so much on my mind, it was inevitable that I’d zero in on color preferences in gold. When I was very young, still a teenager, I liked yellow gold best, probably because it’s what my mother had and it was what was featured most in magazines. It always seemed very glamorous on the models in the 1980s! Sometime in the 90s I started to like the look of white gold better, and I’m sure it had something to do with the fact that white gold was identical to silver, which was the only metal I could afford back then (and maybe now too, with the way the price of gold jewelry continues to rise). These days I’m swinging back to yellow gold and breaking out all my old jewelry in that color. I am even liking the look of pink, or rose, gold, though I don’t own anything in that shade. Is it just me or does rose gold seem like it’s everywhere these days? 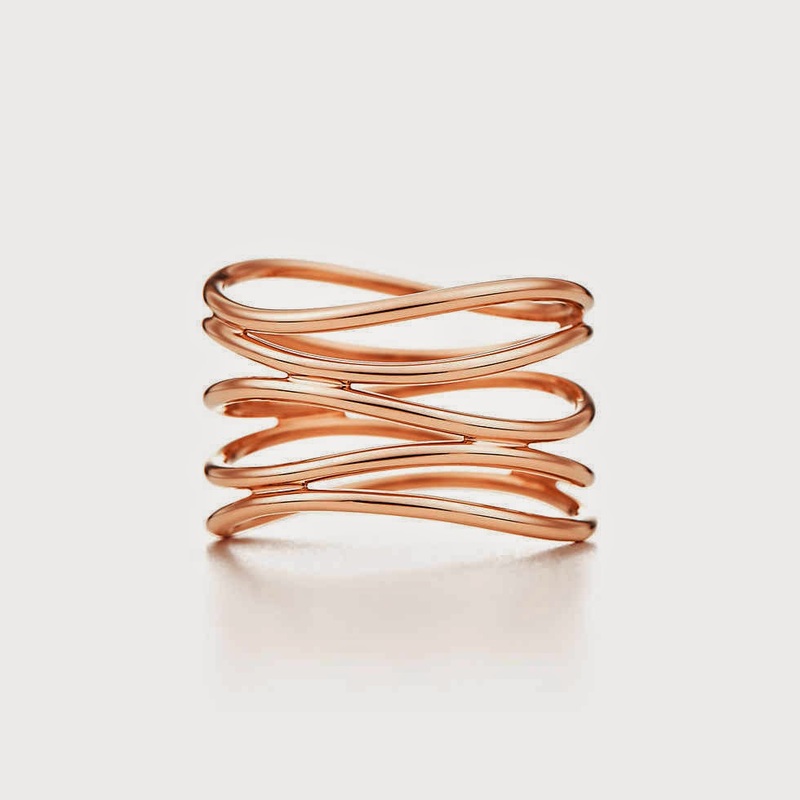 An Elsa Peretti Wave five-row ring in rose gold at Tiffany & Co. I thought it would be fun to post a few pictures of some very beautiful pieces from a range of jewelers and in different gold colors. 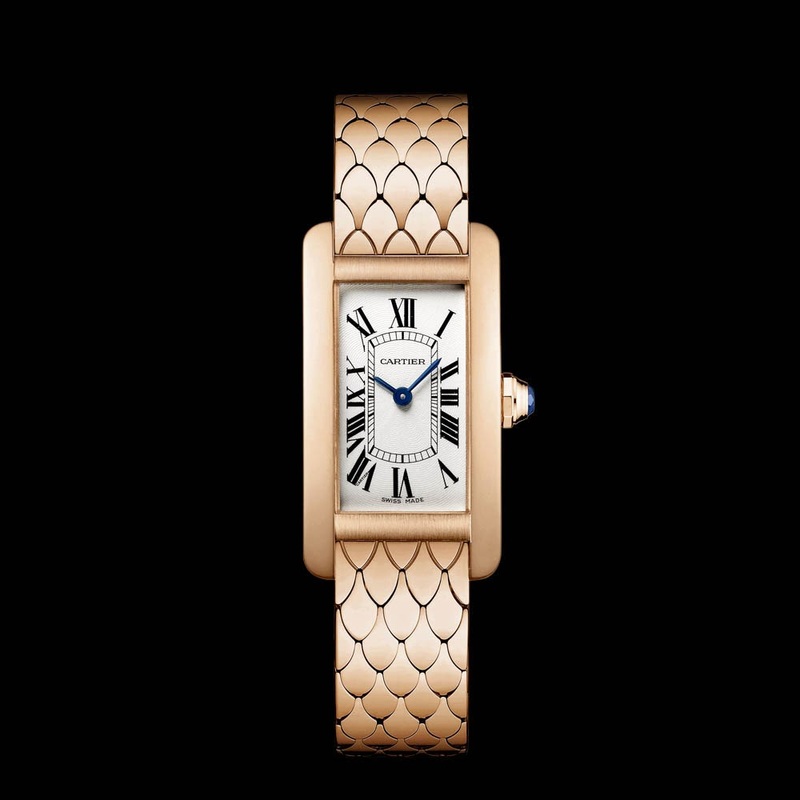 A Cartier Tank Américaine watch in rose gold. Oh, I weep. 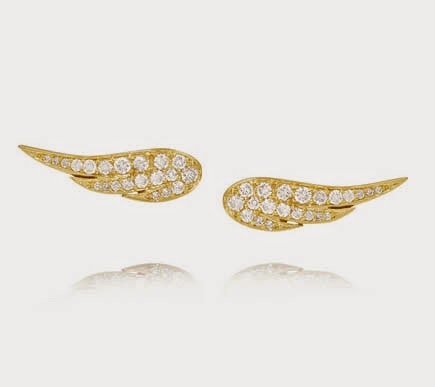 Anita Ko Wing 18K gold diamond earrings. So beautiful. ...or white? 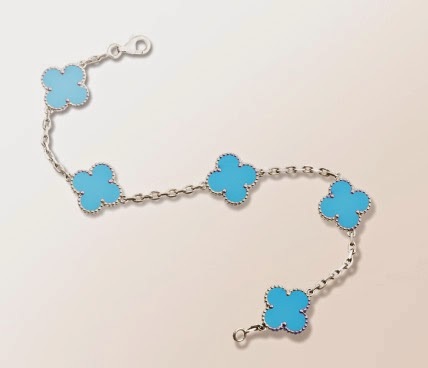 Van Cleef & Arpels Vintage Alhambra bracelet. ...and in white gold. Which do you prefer? The white gold version is still available over at Beladora! If you have a preference of one color of gold over another, I’d love to hear what it is and why. Is it for the way it looks or because a certain shade of gold suits your skin color better? Do you feel certain stones look better with a particular color of gold? Do you wear different shades of gold in different seasons, say, gold for winter, white for summer, or vice versa? What do you think of pink gold? Tell me everything! Yellow gold is very 80s (and a bit 90s) to me. I love it for that reason, but it's not my first choice. I prefer rose gold; I think because it's less harsh to me. And yes, it's definitely everywhere lately! Truth be told I like and wear all tones and it drpends on mood outfit etc. interestingly in the Alhambra all yellow gold doesn't suit me at all yet in rose gold it just works so easily. "and maybe now too, with the way the price of gold continues to rise"
Hi Denton, oh I see that you are right, the price of gold has dropped. And you are correct that the price of jewelry continues to rise, but I knew that already, and that is more accurately what I was referring to. As ever, thanks for the correction. I love all shades of gold, I wear all three. For diamonds, I prefer platinum or white gold. I think yellow gold looks best with my coloring, especially during the summer when I'm tan. Rose gold looks really good with silver or yellow gold. Jill, I love all 3 colors, and have pieces in the different colors. I will even mix them wearing yellow and white gold at the same time, but it seems like yellow gold is everywhere right now. 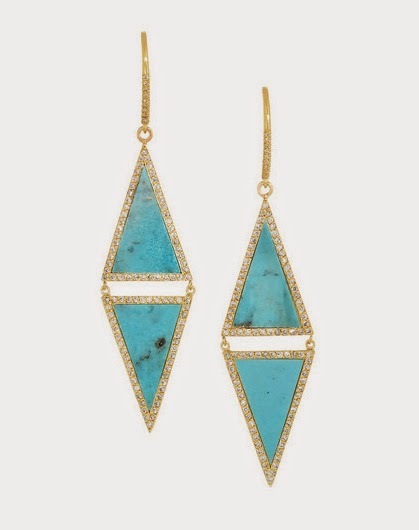 I like either yellow gold or silver with turquoise. I try not to limit myself to only wearing one tone (yellow or white), but I tend to wear certain colors with one or the other, i.e. gray with white gold or silver, green with yellow gold, brown with yellow gold. Your post is great and the pictures are just dazzling!! Especially love that Alhambra bracelet...beautiful! :-) I like yellow and rose gold. white gold doesn't suit the color of my skin. And yes, you're right: rose gold has become extremely popular. By the way when seeing the book of the jewelry of WW, I have a set of auction catalogues with tons of things sold from their estate. so amazing. I think I should do a post about that some time in the future… :-) Is the book good, you have? My kind of subject... jewellery. I love it. I have always been drawn to yellow gold. I liked the shine of it, it suited my skin and I could afford it. Nowadays I don't mind the colour, I like rosé too, it is just that rosé is more difficult with my skin. 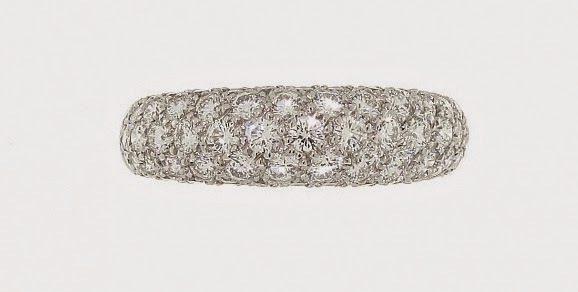 White gold is beautiful with diamonds. 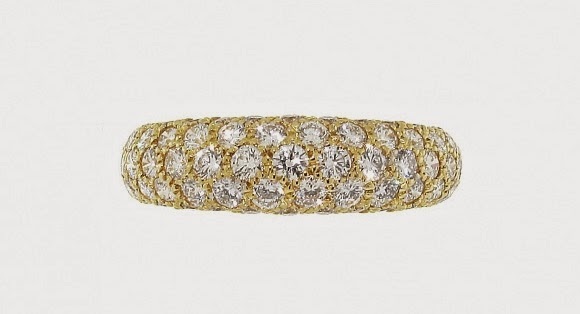 I have a lot of diamonds (I do beg your pardon for saying this) set in yellow gold. But they do actually shine better in white. I used to never mix white and yellow gold. Now I think "why not?". We were always taught that blue or brown couldn't go with black. That wasn't true either. What I do find nowadays is that antique jewellery ages you more than contemporary Jewellery. I have a lot of antique jewellery... and I wonder what to do with it.